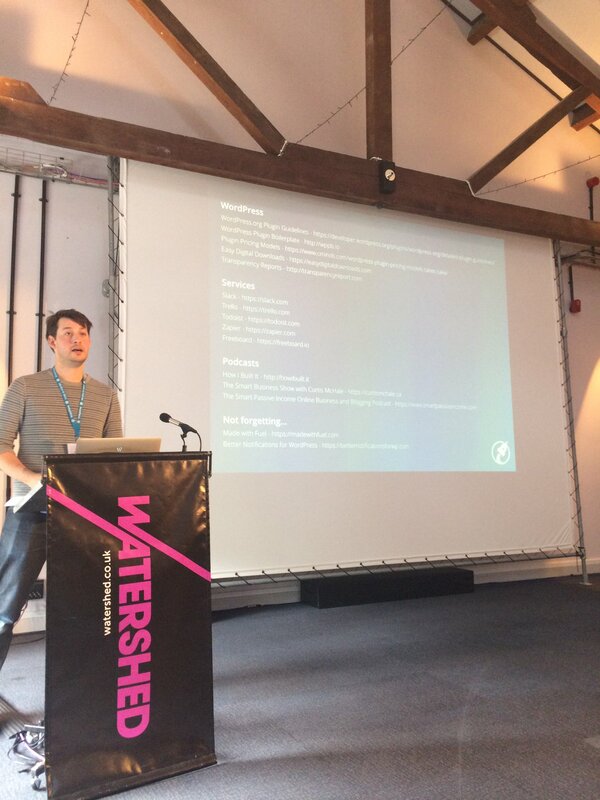 Over the weekend of 13th – 14th May, I spoke at and attended my first WordCamp, in Bristol. 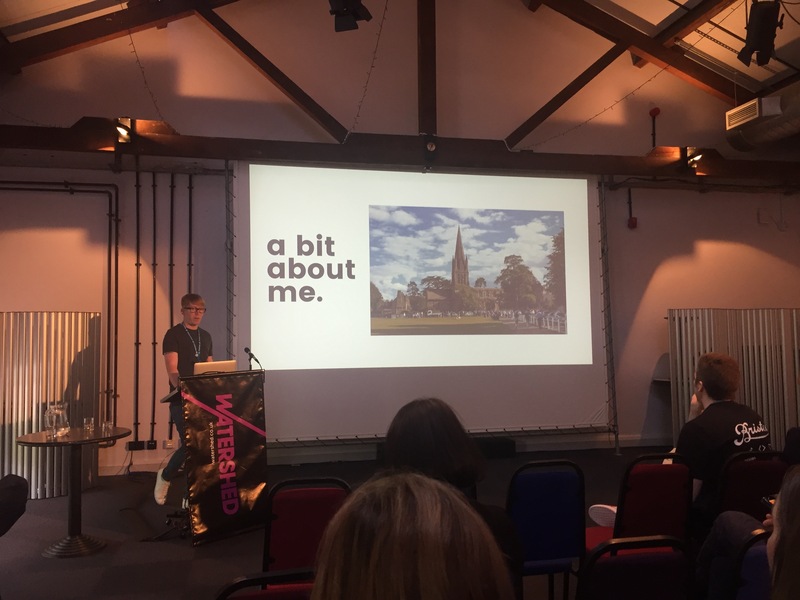 This was the first year that Bristol has hosted a WordCamp and I’m pleased to say that it was a fantastic, fun weekend, packed with great talks, great people, and great food and drink. I came back invigorated and inspired by the WordPress community and I can’t wait to attend another WordCamp soon. I arrived in Bristol the day before to attend the speaker’s dinner, hosted at the recently opened, Spike Island, where I got to meet everyone. The energy and friendliness was great and I, even as a relatively inexperienced speaker and WordCamp newbie was made to feel very welcome. The first day kicked off with an intro from the organisers, general housekeeping, and a rundown of the schedule for the weekend. This was shortly followed by the first set of talks – one in Track 1, the larger of the two rooms, and one in Track 2, the smaller of the two rooms. At 9:45am in Track 1, I delivered my talk on “Building a WordPress Plugin as a Side Business”. A touch of nerves before-hand but nothing crippling. My talk was well received, I was asked some great follow-up questions, and people have since told me that they felt ‘inspired’ to build on their WordPress plugins! I would definitely speak again. Me! Taken towards the end of my talk. Track 2, Evgenii Nasyrov – Showing how simple Gulp is to get started with and how powerful it can be for your front-end development workflow. 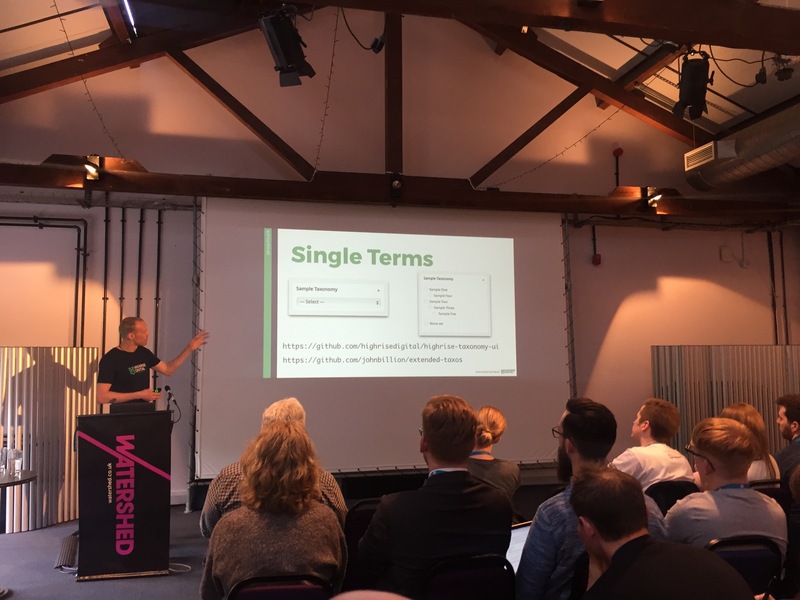 Track 1, Mark Wilkinson – Great to see what other small WordPress agencies are doing to combat content management and menu bloat in the WP Admin. Track 2, Tom Greenwood – It’s not waterfall vs agile – they can be used together, such as waterfall within agile in order to do small, agile sprints and releasing little and often but doing so using a waterfall methodology. Track 2, Melin Edomwonyi – How to meet people, network, and make social connections with people to help shout about your business. Track 1, Kayleigh Thorpe – Using galleries and image optimisation with WordPress and how powerful the default galleries are. Track 1, Khalid Munir – Gently encouraging children to take an interest in technology and the things in the world around them (my favourite talk of the weekend). Track 2, Mark Jennings – A quick overview of Google Analytics and it’s basic uses at tracking elements within your website. 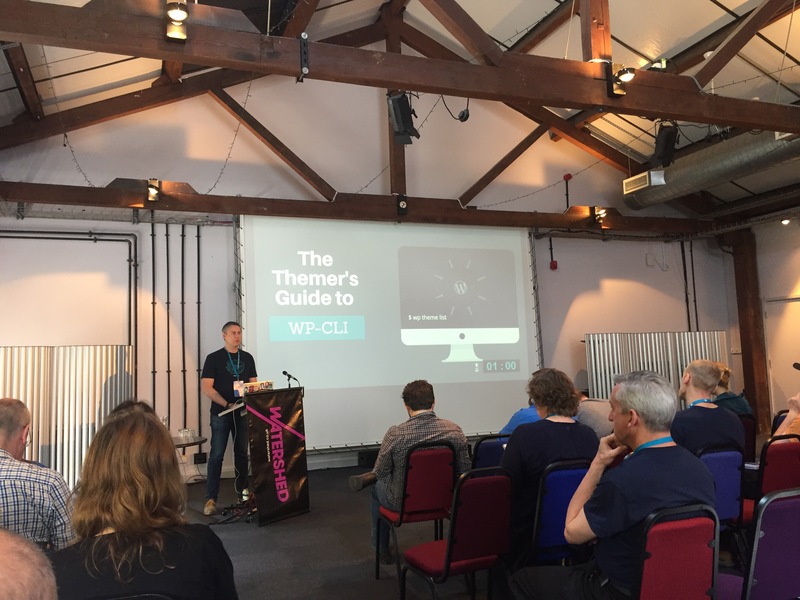 Track 1, Edmund Turbin – A guide to WP CLI and how it’s useful for themes and child themes. Track 2, Carl Hughes – An introduction to Twig (think what Sass did for CSS, Twig can do for PHP). Track 1, Josh Bedford – How Josh became a basic user of WordPress to working as a developer in a small WordPress-focused agency. The lunches and drinks that were provided through-out the weekend were absolutely fantastic. The Watershed really did a great job of hosting the event. Between speaking, watching other talks, and chatting with people, I had the chance to speak with some of the event sponsors. I found the service and knowledge of the 34SP Hosting team to be truly brilliant and have signed up to test their Managed WordPress Hosting plan for one of my own sites. They also had some great swag! Speaking of swag, the Siteground ‘Neon Wapuu’ socks are truly awesome. No photo unfortunately. 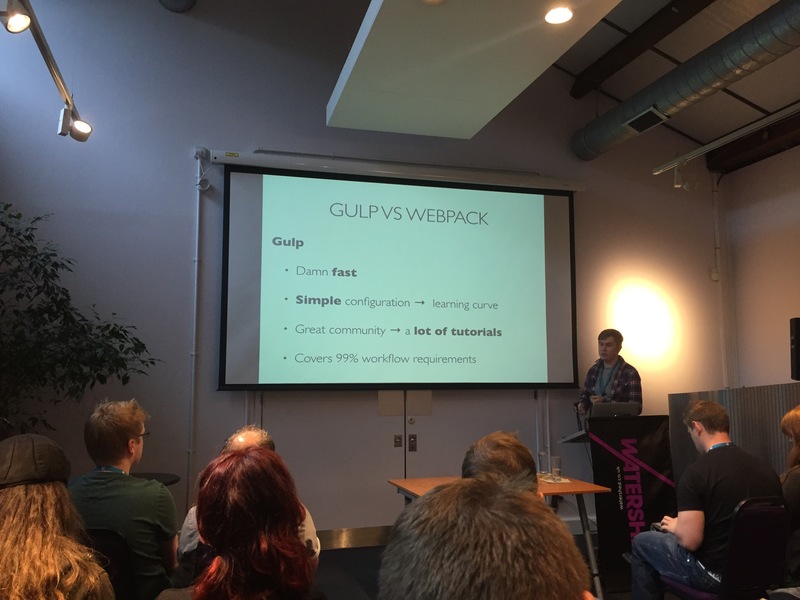 How is a WordCamp Different? If you’ve never been to a WordCamp before and plan on attending one soon, I recommend checking out this video to better understand how WordCamps differentiate themselves from other tech conferences – hint: just like WordPress it’s about being friendly and collaborative. 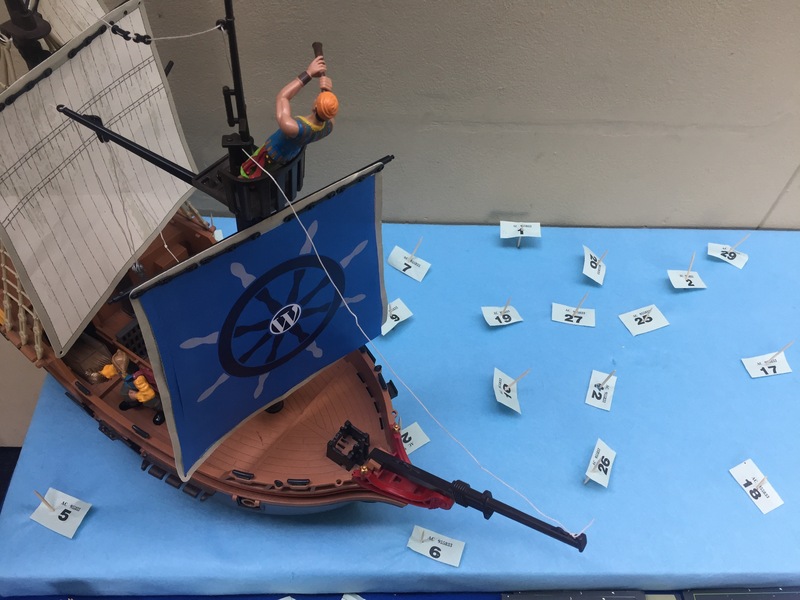 Raffle time: Where is the sunken treasure?